The long summer is over. 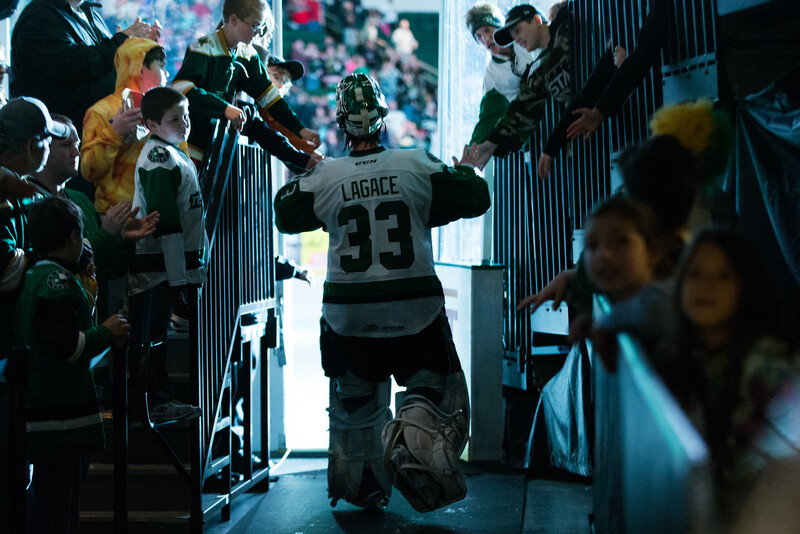 The Texas Stars have delivered their 2016-17 schedule along with the rest of the American Hockey League. The club has a 76-game slate, playing in the Pacific Division once again. They will have a new division rival, the Tucson Roadrunners, this year. The Roadrunners won't come to the HEB Center until February 19th, however. The AHL schedule takes more time than the NHL schedule because several teams are the secondary tenant in their buildings. That creates a waterfall effect for the AHL schedule with dependencies on the NBA schedule. You can view the full schedule on TheAHL.com or TexasStars.com. The Texas Stars, American Hockey League affiliate of the NHL's Dallas Stars, announced Monday their full 76-game schedule for the 2016-17 regular season. The team will kick off their eighth season at H-E-B Center at Cedar Park on Friday, Oct. 14, at 7:30 p.m. and Saturday, Oct. 15, at 7 p.m. against the Charlotte Checkers. Single-game tickets go on sale Thursday, Aug. 25, at 10 a.m. for all 38 home games. The full 76-game schedule and more information are available online at http://www.texasstars.com. The Stars also play a home preseason game against their in-state rival, the San Antonio Rampage, on Oct. 8, at 3 p.m. The 2016-17 campaign will conclude on Saturday, April 15, against San Antonio on Fan Appreciation Night. Coke Zero Family Four Packs are returning this season for all Saturday home games. Fans can enjoy four tickets, four hot dogs, four soft drinks and parking starting at just $16 a person. Texas Lottery Lucky Row Nights also return on Saturdays, where the first Stars player to score a goal will win scratch-off tickets for one lucky row of seats. The Stars will continue to compete in the AHL's Pacific Division against the Rampage, Bakersfield Condors, Ontario Reign, San Diego Gulls, San Jose Barracuda, Stockton Heat and the newest member of the league, the Tucson Roadrunners. The Stars first home games against their divisional opponents are Oct. 25 against the Rampage, Oct. 28 against Ontario, Nov. 11 against San Jose, Dec. 29 against San Diego, Jan. 27 against Bakersfield, Feb. 10 against Tucson and March 24 against Stockton. H-E-B Nights return for all Monday-Thursday home games where fans can donate any H-E-B branded, non-perishable food item at the box office for $5 off their ticket purchase. A full promotional schedule for home games this season will be announced at a later date. Other notable dates include a New Year's Eve matchup with San Diego for the second straight season, and on Jan. 6 and 7, the defending Calder Cup Champion Cleveland Monsters come to town. All weeknight home games (Monday-Friday) will continue to start at 7:30 p.m. and all Saturday night puck drops are at 7 p.m. In total, the Stars play 27 of their 38 home games on Friday or Saturday. 15 different teams will visit H-E-B Center this season. The team's most common opponent is San Antonio with 14 total meetings between the two rivals. Texas will play 44 of their 76 total games within the Pacific Division. The other 32 will be played against the eight teams of the AHL's Central Division. The beginning and ending portion of the Stars' schedule involves a lot of time away from home. Texas will play 11 of its first 19 games, and nine of the final 16 games, on the road this season. March will be the busiest month for the team with 15 scheduled games. The longest road trip of the season is a six-game, 12-day stretch on the West Coast in late February. The Stars will enjoy a pair of five-game homestands for their longest of the season, one in December and the other in February. In what should come as no surprise to anyone paying attention, the Dallas Stars will be hosting their 2016 training camp in Cedar Park once again. Last year's offering was a smash success. The importance of this season's training camp cannot be overstated. After last year's promise, Dallas needs to deliver on everything it showed it was capable of last season. Training camp is where that all starts. In six weeks, you can watch that unfold in the HEB Center. The Dallas Stars and H-E-B Center at Cedar Park have announced details for the team's 2016-17 training camp, which includes open practice sessions and the Victory Green vs. White Intrasquad Scrimmage. The Dallas Stars will hold training camp at H-E-B Center at Cedar Park in Cedar Park, Texas from Friday, Sept. 23 through Sunday, Sept. 25. The practices on Friday and Saturday are open to the public. Fans wishing to attend the sessions can enter through the east entrance of the building. On Sunday, Sept. 25, the Stars will host the Victory Green vs. White Intrasquad Scrimmage at H-E-B Center at Cedar Park. Split into two teams, the Stars will play an officiated scrimmage beginning at 10 a.m. All Dallas Stars and Texas Stars ticket package holders will receive a complimentary ticket offer to the game. Tickets will go on sale to the general public at 10 a.m. on Wednesday, Aug. 10 and may be purchased at the H-E-B Center at Cedar Park box office, calling Ticketmaster at (800) 745-3000 or visiting http://www.ticketmaster.com. Please note: Times for all on-ice sessions are subject to change. The Texas Stars have announced their preseason schedule for the coming year. As usual, they will play San Antonio. However, this season the teams will play a home-and-home. Only one game will be played in Cedar Park. As a result, full season ticket holders will get a credit for one preseason game added to their accounts. The Texas Stars, American Hockey League affiliate of the NHL's Dallas Stars, announced today their 2016-17 preseason game schedule. The Stars will play a home-and-home preseason series against their in-state rival, the San Antonio Rampage. The Stars will visit the Rampage on Thursday, Oct. 6, at 7 p.m. at AT&T Center. The two teams will face off at H-E-B Center at Cedar Park on Saturday, Oct. 8, at 3 p.m.
Texas Stars full-season ticket holders already receive tickets to the Stars' home preseason game as part of their ticket plan. Individual game tickets for the Oct. 8 game will be on sale Wednesday, Aug. 17, at 10 a.m. CST.